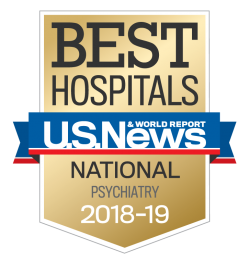 The Adult Day Hospital offers partial hospitalization and intensive outpatient levels of care for adults experiencing mental illness and/or co-occurring disorders who do not require the intensity of inpatient treatment. Our day hospital provides treatment during the day, allowing patients to return to the comforts of their own home at night. Adult Day Hospital programming is offered on weekdays from 8:00 a.m. until 3:30 p.m. Learn more about the Adult Day Hospital.